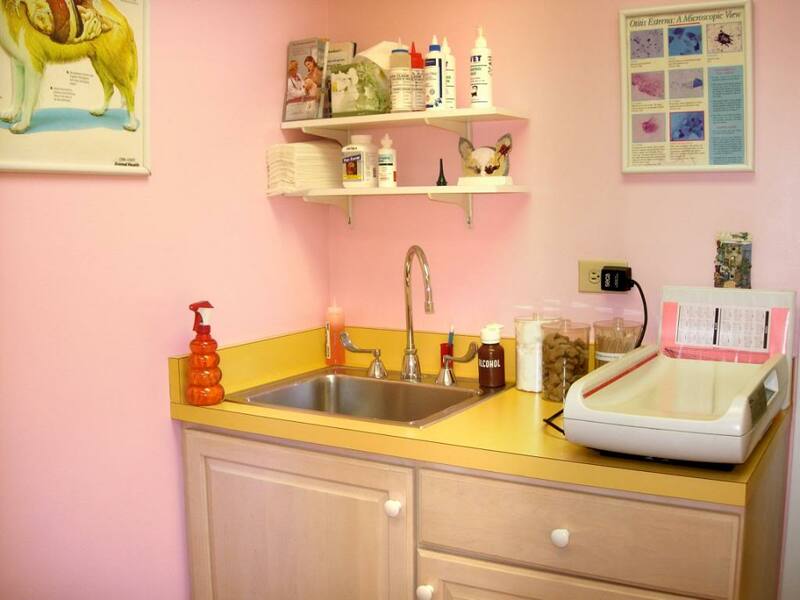 Our exam rooms include more comfortable chairs, charts of the various dog and/or cat breeds, a scale for weighing smaller pets, and the equipment needed for your pet's physical exam. 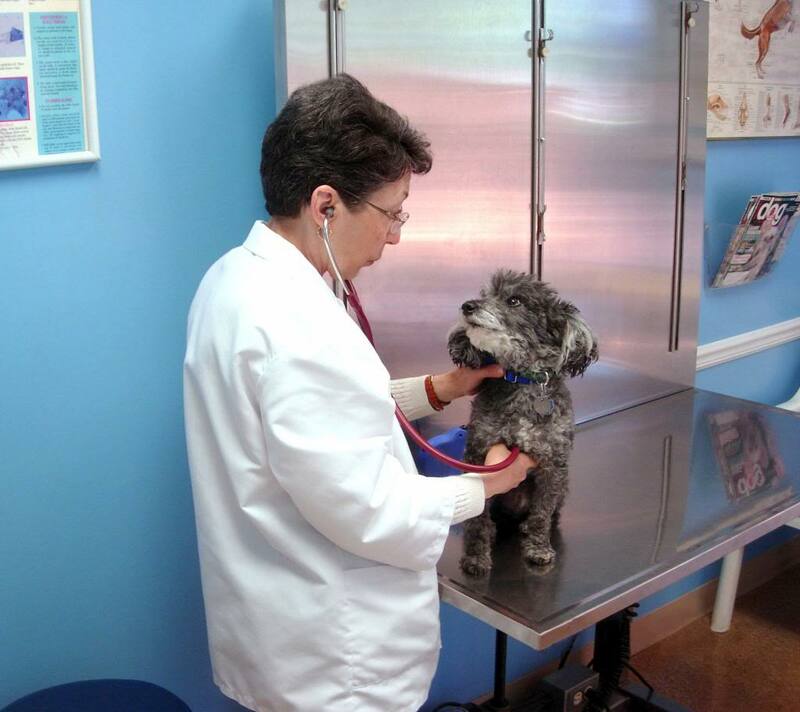 All pets must have someone holding them the entire time they are on a table; if you are unable to hold your own pet, we will be happy to have an assistant come in to help. 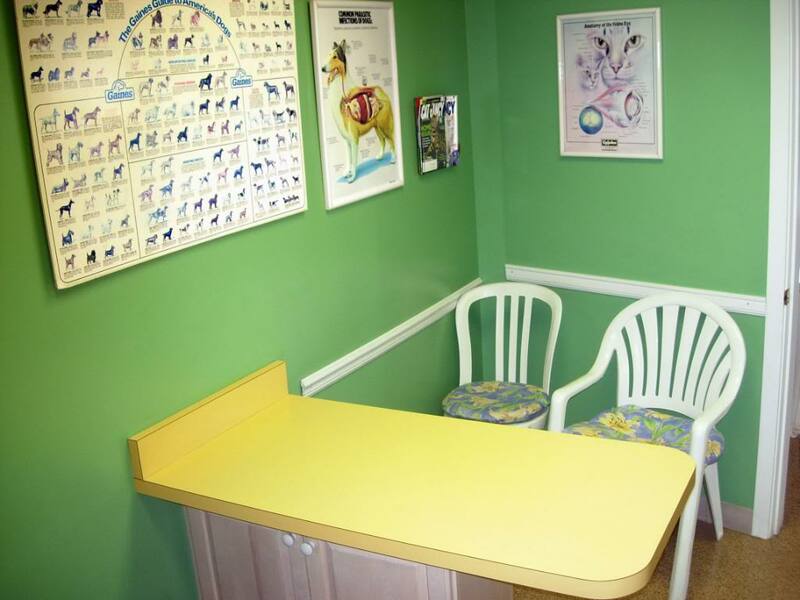 The blue room includes a "lift table" so that larger dogs can walk onto the table close to the floor, and then ride up to the height needed for exams, rather than having to pick them up or work only on the floor. Dr. Block is demonstrating here with her own dog, Charlie; he's not too heavy to lift, but he enjoyed the ride anyway!